Eric Giesler, MD is a urologist in Austin, Texas that believes that the diagnosis and treatment of prostate cancer is more personalized now more than ever. It is no longer a one size or treatment fits all. We can do better, we do do better, and we are seeing significantly improved results. 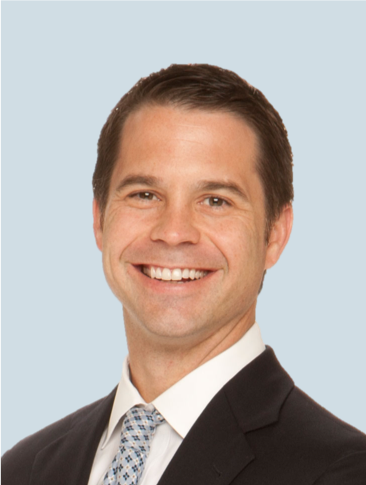 Read a full bio of Dr. Giesler here. I grew up in a medical family; my father was a physician and my mother was a nurse. I spent weekends at a hospital rounding with my dad and felt myself drawn to the profession. I have always been most interested in urology because my father and both grandfathers had prostate cancer. All three family members were diagnosed at different stages of life and were treated differently. I was trained to use the Sonablate HIFU device in Cancun, Mexico prior to FDA approval. I then started a Focal Therapy program at our urology practice in Austin in 2015 using MRI Ultrasound Fusion Biopsies and targeted therapy. I added HIFU to the program after FDA approval in 2015 and have been very impressed with cancer cure rates and the limited side effects. I started HIFU because I felt that we were providing excessive treatment for a slow growing tumor. Some patients do require surgery but others do not. While surgery and radiation were the only tools we had until recently, we now have the ability to be more selective and treat patients with more precise tools, like HIFU, to cure their cancer and limit side effects of treatment. I tell them that we have several options to treat them and we have to determine what is their best option. Our goal is to limit the cancer’s impact on their life as much as possible. I offer robotic prostatectomy, radiation, cryoablation, and HIFU. Each patient is unique and every cancer is different. Our job as urologists is to find the best treatment for each patient. Fortunately, we have an ever-expanding tool box to use and help our patients conquer cancer. HIFU provides a strategy to effectively treat prostate cancer and limit possible side effects that can plague men. To determine whether HIFU is right for a patient, we review his overall health, gleason score, prostate architecture and urinary/ sexual function. HIFU is an outpatient procedure. Men go home the same day and most have a catheter for a few days to a few weeks. Most men are completely healed in 6-8 weeks. It takes time for the urinary frequency and urgency, that can happen, to dissipate. HIFU works really well for intermediate and low grade prostate cancer. It is best on a small to medium sized prostate. In 2010, we were performing a significant number of robotic prostatectomies and I started seeing the complications, including incontinence and impotency. I saw HIFU being used around the world with success and limited morbidity. In recent years there has been some discussion about over treating prostate cancer and even changing guidelines on when men should start getting regular screening for prostate cancer. What do you tell men? Knowledge is power. There is no harm in evaluating PSA on an annual basis. The PSA is a discussion point, not an actual point. We now use PSA Dynamics (Free PSA, PSA Density) as well as an MRI to better evaluate the prostate and need for a biopsy. Once cancer is diagnosed, we can utilize traditional Gleason score and genetics to better assess a patient’s risk and help guide us on selecting the appropriate therapy for the patient. The diagnosis and treatment of prostate cancer is much more personalized now. It is no longer a one size or treatment fits all. We can do better, we do do better, and we are seeing significantly improved results.